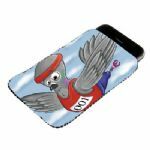 Racing Pigeon Gifts for the Racing Pigeon Fancier including racing pigeon mugs, racing pigeon phone cases, racing pigeon wallets, mousemats, keyrings etc, Most Of Which Can Be Personalised Free Of Charge. Ideal as a personalised gift for remembering a Christening, New Born, Birthday, Engagement, Wedding, Graduation, Pet, a celebration and many more occasions like Christmas, Valentines day, Mothers & Fathers days, Easter, etc or as a business promotional item for you staff or clients. 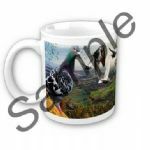 Based in Northern Ireland we create your personal photo, engraved gifts and our home designs in our specialised studio. We are CRB checked and cleared to handle and process photos of children etc, so you can send your special photos with the added security that they will be treated with the strictest privacy and security. 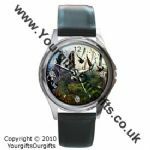 We can put your photograph onto any of the products listed on our Photo Gifts section, whether it be photo gifts for her from photo bags to personalised photo jewellery, photo watches, nomination charms, photo bracelets, personalised photo pendant necklace etc making a great personalised gift or momento. 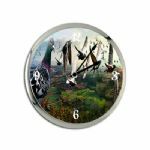 Personalised Photo Gifts for the home from Personalised Doormat, Personalised Photo Blankets, Personalised Glass Chopping Board to personalised wall clocks and photo cushions, and Photo Gifts For Men. We promise not to send out any personalised gift that we would not be happy receiving ourselves. We use quality products to ensure that your gift is of the highest quality. Our methods include heat dying and direct printing the image onto the gift which means you will receive only the best in Personalised Gifts. 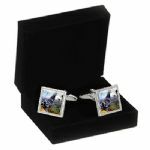 Also able to add a special message to our luxury range of engraved gifts which cover engraved gifts for him from engraved cuff links to hip flasks & sliver lighters. 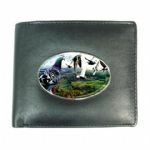 Engraved gifts for her from, trinket boxes to compact mirrors, photo lockets etc and not forgetting those special engraved gifts for the kids from engraved money boxes, piggy banks, etc. Personalised gifts for all the family & any special occasion.